The concept of arranging texts in a gradient of difficulty has many important advantages for teachers. Fountas, I.C., and Pinnell, G.S. 2009 The Fountas and Pinnell Leveled Book List K-8+. Portsmouth, NH: Heinemann. As a teacher’s tool, leveled texts are essential for differentiating instruction. 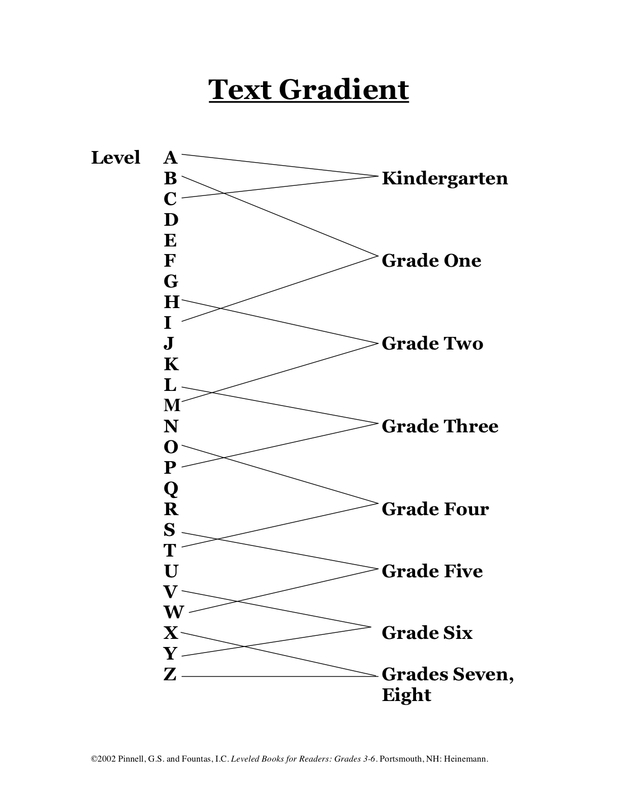 When the level of the text is the student’s instructional level (90 to 94 percent accuracy and satisfactory comprehension, levels A through K or 95 to 97 percent accuracy with satisfactory comprehension levels L through Z), the teacher can provide a minimum amount of support and the student can learn how to read better. When a student can successfully work through most of the text independently, he is not overwhelmed and can attend to a small amount of new learning. 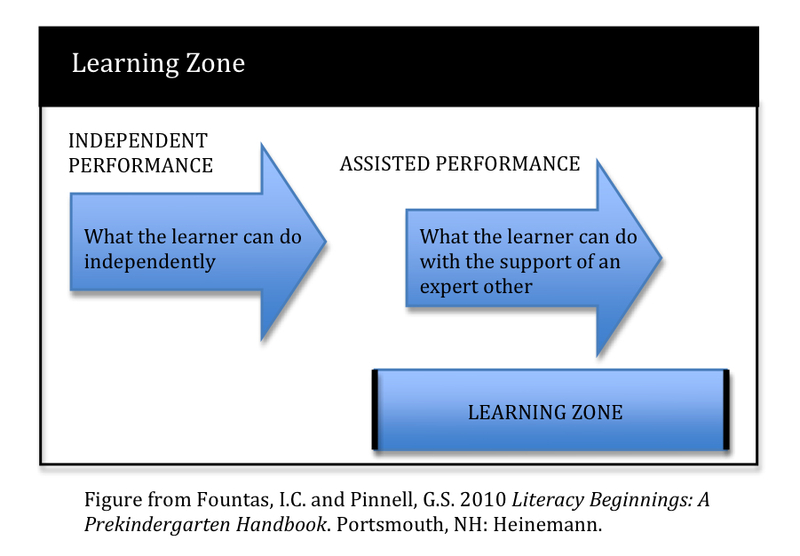 This is often referred to as the reader’s “learning zone”- the text is not too easy and not too difficult so it supports new learning. (Vygotsky, L.S. 1978. Mind in Society: The Development of Higher Psychological Processes. Cambridge, MA: Harvard University Press; Vygotsky, L.S. 1986. Thought and Language. Cambridge, MA: MIT Press. Think what it would be like to process a hard text day after day. You have noticed the reading behaviors of a student who works through a text without smoothness or momentum. Usually you can notice that comprehension is lost and the reader resorts to inefficient means of solving words. The first way you can support the reading success of all students is to provide texts that are well leveled in a small group instructional context. Of course our students need a reading diet that includes more than leveled texts. 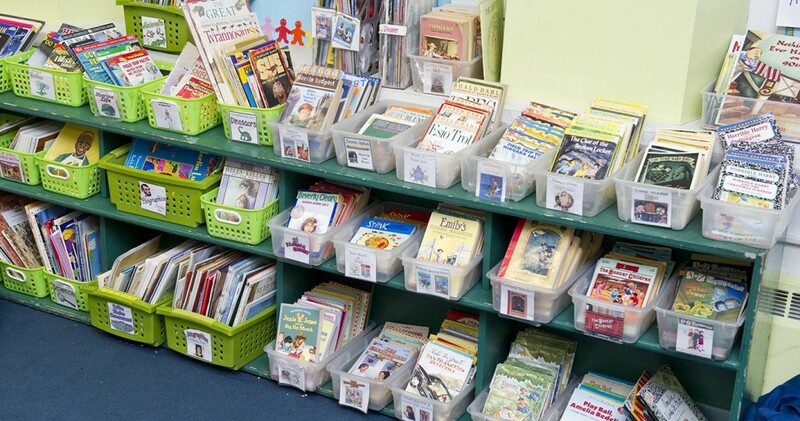 They need many opportunities with age and grade appropriate texts that are not leveled in instructional contexts such as independent reading, book clubs, shared reading or in read aloud time. These texts engage our students’ interests, build their background knowledge, and expand their language structures and vocabulary. Our goal is to provide a multitude of high quality learning opportunities for every child. Leveled texts and those not leveled will need to be in our set of tools to reach the differing needs and support each student’s path of literacy learning.